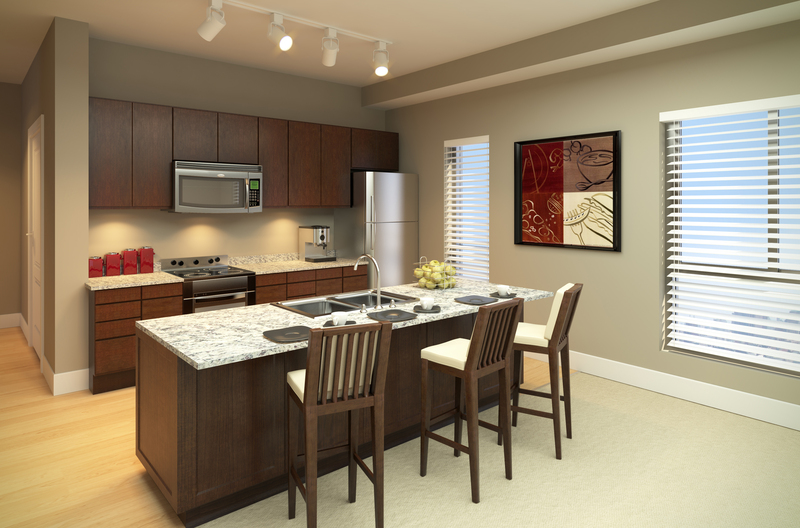 Our interior design package has been selected for the apartments and townhomes. Here’s a sneak peek at an apartment kitchen featuring granite countertops, plank flooring, stainless steel appliances and oversized windows. Click here to view the entire finish package on our website in the photo gallery. We’ll be releasing exciting new information every week. Be sure to stay on our mailing list or like us on Facebook to receive updates.